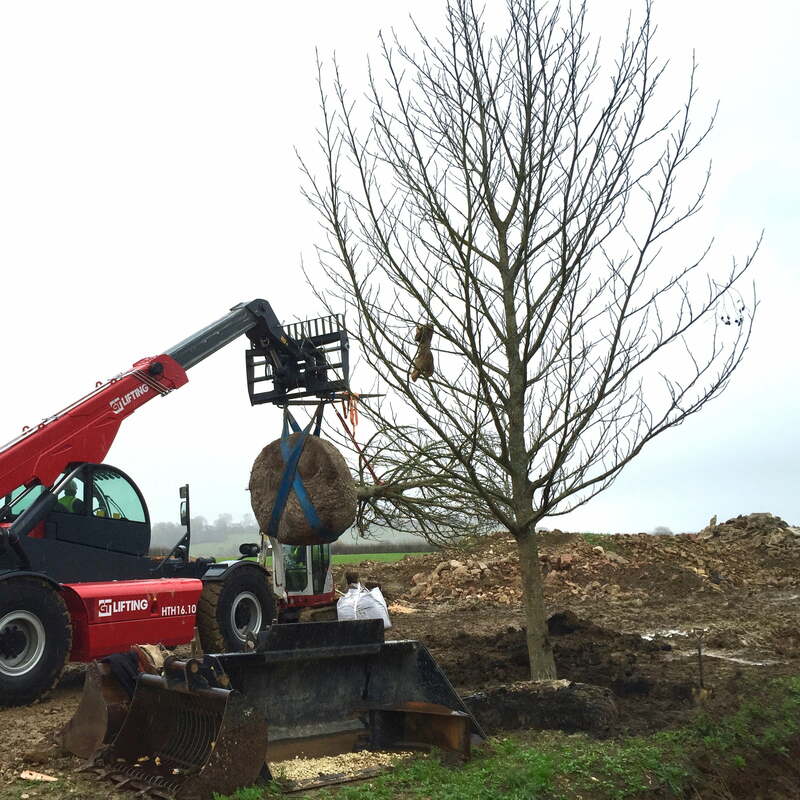 Home » Behind The Scenes » Tree planting on a grand scale! I chose four of these fantastic Pterocarya fraxinifolia (wingnut trees) for my clients’ garden in the Cotswolds last March. Aren’t they fantastic? Lots of planning since then & yesterday they arrived on site! 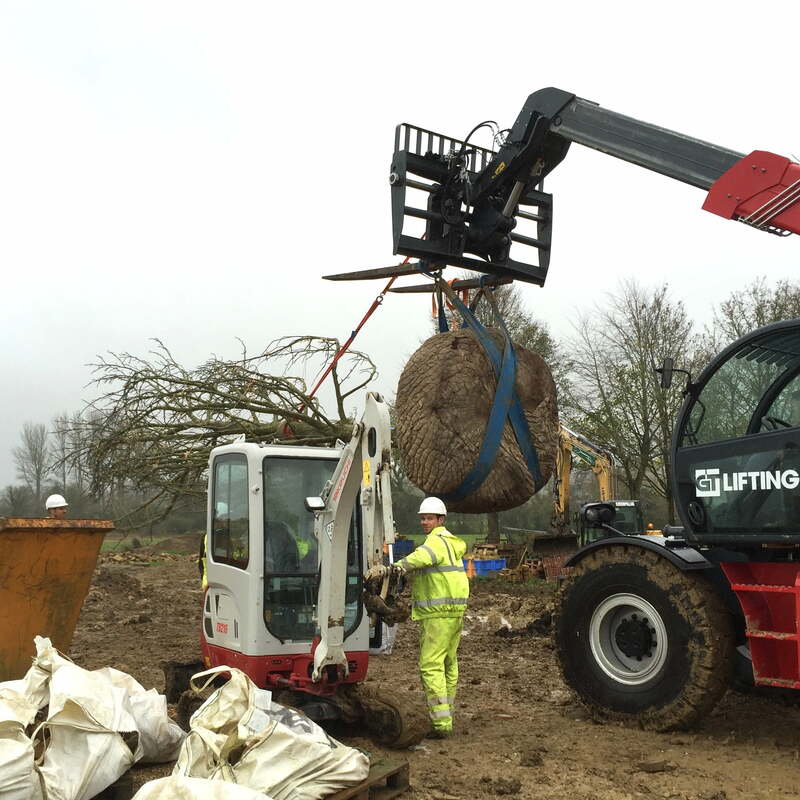 The ground was prepared in advance & several hours later the 1st one is in the ground… They weigh several tonnes each so sufficiently capable kit was brought in & as you can see this tele-handler almost makes it look easy. Two are going in today to complete the line-up & will match in beautifully with a copse close by. 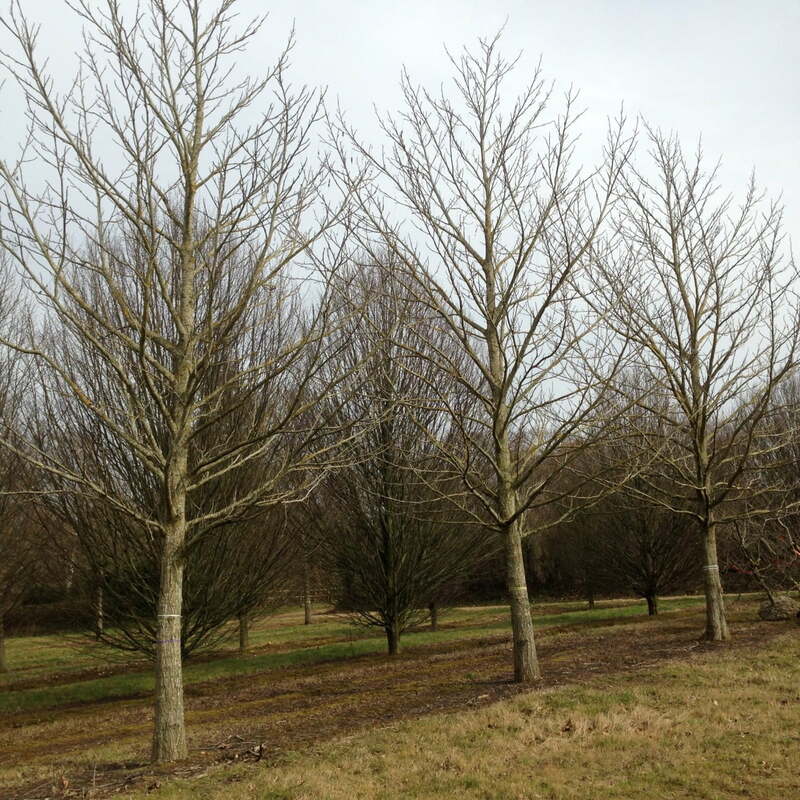 The aim of buying such large specimens was to add some history to the site with large scale mature trees. Several acres immediately around the house & outbuildings of this converted farmhouse were devoid of any trees so it’s been my absolute pleasure to reverse the situation & blend the new garden with the greater landscape beyond. Tom & his team have already planted well over 100 trees & this next phase sees these ‘heritage trees’ as I call them going in, together with an avenue of purple leaved prunus (for drama!) lining the drive & mature weeping willows for the islands in & around the new lake. It’s a big plot at over 100 acres but we’re just concentrating on around 25% of that. I’ll post more as it progresses & there’s plenty more to do as you can see, but I’ll leave you with this one showing just how large the rootballs are. Huge thanks to Tom & his team doing a great job as usual.